Is Bellafill a good option for filling in the hollow spaces in the cheeks and marionette lines? This is a great question. While there will always be opinions one way or the other, let’s examine the facts. Bellafill has been available as an FDA approved medical device for 12 years now and it was the most highly studied filler to gain FDA approval because it is so long lasting. The formal FDA approval study was 3 years longer than any other filler study. It was 5 years long and 1008 patients were entered. At the end of the study there was no loss of volume meaning that the filler was still working very well. The significant problems seen in the study that everyone seems to worry about with Bellafill are lumps or granulomas. These lumps are not really a problem if they cannot be seen but nonetheless, of the 1008 patients in the study, 15 developed lumps that could be felt or seen. In 13 of these 17 patients the lumps all resolved or improved to the point that they were of no concern at 18 months. 2 patients developed lumps that needed to be treated with simple injections of a steroid called Kenalog 10 or a similar injection protocol like 5FU plus Kenalog. What is interesting about this study when compared to other filler studiesis that there was an unprecedented retention rate of 96% at 18 months and a 94% satisfaction rate at 18 months! When compared to any other filler Bellafill is the clear winner. It is safer, has a higher satisfaction rating and lasts much longer making it far more economical in the long run despite being more expensive to start with. Why don't many Plastic Surgeons and Dermatolgists use Bellafill? I think that there are a few reasons. Since Bellafill lasts so long, most providers are worried that you will not come back to see them. Another reason maybe that most physicians pass the filler injections to a nurse or physician's assistant in their office. Many midlevel providers feel very uncomfortable injecting something that will last so long. Thankfully, Bellafill has not been widely adopted because there is very little room for error with it. Many plastic surgeons would rather use fat grafting over a filler like Bellafill. They understand that adding volume back to the aging face is part of the solution for facial rejuvenation but they are either unfamiliar with Bellafill or would simply rather utilize their OR where they are more comfortable. With all of that said, Bellafill is a wonderful filler in the right hands. On RealSelf, the worth it rating for Bellafill is 91% and for Juvederm Voluma the worth it rating is 87%. Fat grafting or fat transfers have a worth rating of 82%. The results that can be obtained with Bellafill are 100% predictable, are very long lasting, and most importantly, patients absolutely love their results. You can see the results and some patient testimonials here. Does it matter whether a doctor uses the micro cannula technique for a nasolabial fold Bellafill injection? There is a lot of conflicting information about this. In addition, there are no studies that can conclusively prove the injecting Bellafill is better with a cannula than a needle or vice versa. One of the complaints about Bellafill is that it can sometimes make lumps. This is largely due to two things. First, the needle that is used to inject Bellafill is considerably larger (26 gauge) than the needles that are used to inject most other fillers (27 to 29 gauge). This can result in bleeding which can cause lumps or small areas of clotted blood under the skin. Second, blood mixing with the collagen in Bel​lafill can also lead to early lumps or scar. These lumps flatten and settle in time, but it can take up to 3 months for that. The main reason for using a cannula is that fact that with a cannula, the risk of injecting filler into a blood vessel and causing a catastrophic vascular injection injury is all but eliminated. Aside from these risk mitigation factors, a cannula, because it causes less injury at the time of the injection creates a more precise result. There is the added benefit of having a less swelling and bruising potential with a cannula. Here is a video about filler safety for you. Is it okay to get a Bellafill injection before a previous Juvederm injection in the same area has worn off completely? There should be no problem moving ahead with Bellafill for your nasolabial folds or laugh lines. Juvederm and Bellafill work in two different ways so adding Bellafill as a filler for your nasolabial folds now, 14 months after your Juvederm injection is not a problem. If you liked what you got from your original injection, you should get a great result. Just remember that you may need to add a little more in the future when the remaining Juvederm has worn off completely. Here is a before and after Bellafill example of a woman who had Juvederm in her nasolabial folds and then transitioned to Bellafill a year or so after. 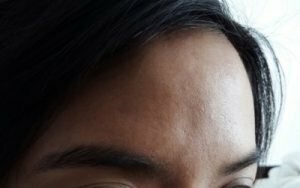 What should I do if a lump develops after a Bellafill treatment? With Bellafill, if you can feel and not see the lump, there is really nothing to do. The 5 year study shows that almost these problems will go away on their own. If you can see the lump, that is a different issue. This is actually a very rare occurence but it can happen. The problem is really scar tissue that has formed in a way that was not intended by the original injection. This scar tissue can be treated with a 5FU/Kenalog 10 formula or simply Kenalog 10. I recommend injecting very small amounts at a time and spreading out these injections by 4 weeks. The Kenalog alone approach seems to get better results but any Kenalog injections can have their own consequences so it important to only use small amounts spaced out at least 4 weeks apart. Do not expect much change the first or second injection and only minimal results after the second or third injection. To find someone who does this in your area, I recommend that you look at the Suneva Medical website Bellafill "find a provider" feature. Be warned that if you see a surgeon or dermatologist who is unfamiliar with Bellafill, they will almost universally recommend surgical removal. I can tell you that in my 12 years of experience with this great filler, the Kenalog approach has always worked and I have never had to surgically remove Bellafill. What is the best course of action for fixing a botched Bellafill injection one month after the injection? I had 0.4 cc injected under each eye and now I see a fullness. The first thing to consider is that one month is far to early to say that a result is “botched”. At one month the injury to the area from the injection has not completely settled. If the area is soft and compressible, it is very likely this will go away. Another possibility is that you may be prone to swelling in your lower eyelids from things like allergies and if that is that case, the Bellafill injection made that worse it may take a couple of more months, but swelling from that problem will settle as well. If what you can feel is firm, then this may of concern, but this should settle as the 5 year studies with Bellafill showed that firm lumps almost always settle in time. Please remember that a half syringe of Bellafill is only 0.4 cc or between 8 and 10 drops so the amount you had injected is very small and by itself should not make too much difference. If it looked good right after that is almost always how a Bellafill injection will end up looking like at 3 to 6 months. At a month, my first recommendation would be to be patient but also back to your provider to get their opinion and evalution. This photo shows that there is either some loss of the soft tissue in this area or a concavity in the underlying bone or skull. It does not matter which one however. Any of the fillers would work well to restore the contour of this area. I prefer Bellafill as it is a long term solution for this problem. Many injectors are hesitant to inject in this area because of concerns of causing a vascular injury but if the filler is placed down deep against the bone there very little chance of any complications and a very nice result should be obtained. There is very little room for error in this area so be sure to see someone who has experience injecting this kind of problem especially if Bellafill is chosen for this problem since it is essentially a permanent filler. There will be almost as many answers to your question about whether plastic surgeons feel that fat grafting or fat transfers as an treatment for under eye lid bags a noworthwhile. Many surgeons feel that your lower eyelid bags are caused by a sagging on herniation of the fat of your lower lid. As a result, they will suggest surgery to correct your lower eyelid bags. Some will suggest removing the skin and fat bags, some will suggest a fat repositioning, and some will suggest adding fat in various ways with or without tightening the skin in order to permanently get rid of your eye bags. There are also many variations of these approaches and it is very confusing to patients. None are wrong but in my experience the complications of surgery like scarring that can pull the lower eyelid down (ectropion), changing the shape of the eye and just not completely correcting the problem are just too high. Many surgeons consider the cause of lower eyelid bags, like you exhibit, the result of volume loss under your eyelids. Where this area was full when you were younger, now volume loss in your cheeks that we all inevitably get to some degree or another has exposed your periorbital fat or fat around your eyes which has not really changed at all. You are on the right track in thinking that adding volume with fillers as a treatment for your lower eyelid bags is a good solution and a fat transfer is one filler solution that many plastic surgeons offer. Regarding fat transfer for the lower lid, while fat grafting to the lower lid can give good results it is very unpredictable and that is unacceptable to me. You have already seen how unpredictable fillers like Juvederm Voluma and Restylane can as lower eyelid fillers. Fat, when transferred has a 35% to 85% chance to take. This presents a conundrum in the lower lid, where you may need 2 to 4 cc of volume replacement to get a good result, as to how much should be placed to get a good long-term result. The other concern is what happens if you get a good “take” under one eye and a poor take under that other eye? For this reason, I prefer to use a filler for the lower lids that is semi-permanent. It is a non-surgical approach and the filler is called Bellafill. Bellafill is really a tissue replacement like fat but far more predictable. When placed with a cannula, it is very safe and can be almost “airbrushed” in place to give you a great result. There are many before and after photos of eyelid bag treatment with Bellafill here. Bellafill is a tremendous option for under the bags under the eyes that seem to inevitably develop as we get older. Like all fillers, it must be done with precision and care. One patient who had fat grafting in the remote past and who has also had many different fillers said that, in her view, “a syringe of filler, no matter what it is; fat, Juvederm or Bellafill, is like a pencil. You can put a pencil in an artist’s hand or a 5 year old’s hand and you will get two different things. Many surgeons do not recommend Bellafill since they are familiar with fat transfers and they have their nurse provider inject the fillers that are offered at their office. Bellafill will last a long time. The safety data is the best of all the fillers and shows that it will last at least 5 years. We cannot technically say that it is permanent, since we do not have studies that go past 5 years but I have seen patients 11 years after their injection and it is still working well. Bellafill is also far more predictable than fat grafting. I abandoned fat grafting a few years ago because Bellafill was so much better. From these photos it appears that you may be a candidate for Bellafill but there are a couple of cautions. It appears that you would be best suited to start with micro needling. Deep micro needling, at least 2 mm or more, usually results in a very nice improvement for situations like yours. I usually reserve Bellafill for the scars that do not appreciably improve after at least 3 sessions of micro needling. Bellafill for acne scars is sometimes a disappointment to patients because it will only result in a 60 to 70% improvement in acne scars. Many acne scar patients come to us hoping that Bellafill will be a panacea for their concerns. Can I use Bellafill to get more jaw line definition? Bellafill can be used to treat the jaw line to get more jaw line definition. The satisfaction for this area of treatment is moderately low however. It usually takes a considerably large volume to treat the jaw line and few injectors use enough to make an appreciable difference. I routinely see patients who said that that had a couple of syringes of filler, Bellafill or another filler like Juvederm Voluma, who say they do not see much change. To illustrate the amount of volume you may need, remember that there are 5 cc in a teaspoon. Each syringe of Bellafill has 0.8cc of Bellafill in it. That means you need 6.25 syringes of Bellafill for each side if you need about a teaspoon of volume to get good jaw definition on each side. Often the jaw area needs even more than 5 to 6 cc per side this to get reasonable results when it comes to filling in the jaw line. While Bellafill will work as filler to improve jaw line definition, there are often more reasonable treatment options or at least more economical options. This video shows just how much is in a teaspoon. Does Bellafill really last for years? I had one vial of Juvederm Vollure put in each tear trough but after only 3 months I swear it looks already half gone. The makers of Bellafill, Suneva Medical, say that Bellafill is not permanent. The 5-year study of Bellafill showed absolutely no volume loss of the Bellafill that was injected in over 1000 patients, at the end of the study. I have seen patients at 10 years after their original Bellafill injection and they are still looking great although they have “matured” a little more and often want a touch up after a number of years. Bellafill is perfect for under the eyes. It can correct lower lid fat bags by filling in around the bags. Bellafill also works very well as tear trough filler as well replacing the lower eyelid and cheek or malar volume that is lost over time or as we age. It is, in fact, so good for under the eyes that I have all but abandoned surgery for the lower eyelids since lower eyelid surgery or blepharoplasty has so many problems compared to Bellafill. There are many surgeons that shy away from Bellafill in the lower lid but with the right technique it is by far the best alternative for treating the volume loss of the lower lids, tear troughs or lower eyelid bags that I know of. What is the consensus of the use of Bellafill for face/cheeks? Bellafill is a very good option as a filler for the cheeks as well as just about anywhere in the face. It can be used to augment cheek bones, or it can be used just under the eyes to fill in tear troughs and lower lid hollows that occur as we lose volume in our cheeks as we age. Bellafill is a very safe filler when used anywhere in the face. In fact, the occurrence of problems after a Bellafill treatment is less than the occurrence of adverse events for all other fillers when the premarket trials are compared. All fillers can produce lumps especially if improper technique is used. Here is a video talking about filler safety. Make sure you see a plastic surgeon who has extensive experience with Bellafill and you should not have any problems. You will love Bellafill. Can you get Bellafill injected after having Silikon 1000 injected for non surgical nose job? Bellafill is an excellent filler for liquid rhinoplasties. In your case, adding it to Silikon 1000 may be problematic for a number of reasons and I would recommend that you stay with the silicone to finish up and achieve the result you are looking for. 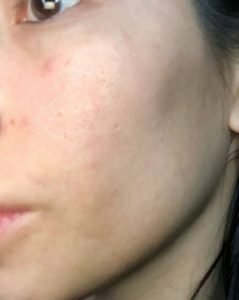 When can makeup be used after a Bellafill treatment? Makeup can be applied right after a Bellafill treatment or procedure. Would one syringe of Bellafill be enough to treat small smile lines? This is a great question since so many patients wonder how much filler they will need. While it is hard to say how much you will need without seeing any photos of you, the good news is that it does not matter. One of the beauties of Bellafill is that Bellafill is a long term filler. It is, in fact essententially permanent, thus, if one syringe does not get you the results that you are looking for, it will be an improvement and you can always add more at some point in the future. If you compare Bellafill to the other fillers, you will always have to come back for more with all of the others. I have added a video that will show you how much filler is actually in one full syringe of any filler. What filler is the most economical filler for restoring facial volume? Bellafill is by far and away the most economical of all the fillers approved by the FDA for the face. Bellafill It will be a little more expensive up front but it will last 5 plus years and produces a great result and patients love it. As a result, your filler costs over 5 years will be considerably less than if you got a filler ever year or so with one of the fillers like Juvederm or Restylane. This Bellafill is the most economical. There is always fat as an alternative, since it will also last a long time, but it is unpredictable and far more expensive. You see some Bellafill results here. Can bone filler be used for hollow temples? By bone filler, I assume that you mean Radiesse, which is a synthetic filler, similar to bone paste. Radiesse is frequently used in the temples. While Radiesse is a good filler it only lasts 12 to 24 months and my preference for filling the temples is the long term or 5 year plus filler, Bellafill. It works wonderfully for this. How do you remove Bellafill when it causes hard lumps? Bellafill works by asking your body to create scar in response to the small (a little bigger than a red blood cell) beads of PMMA that are in each syringe of Bellafill. While this works wonderfully 99% of the time, aberrant scar can, on occasion, form and become a problem as in your case. I have used Bellafill for over 10 years now and I also review most of the problem cases for the maker of Bellafill, Suneva Medical. I have yet to see a case in which the product has to be removed surgically although some surgeons will just remove it without trying the non-surgical options first. Monthly injections of small amounts of Kenalog 10 will slowly soften this heavy scar that is causing your problem. It sometimes takes 4 or 5 injections but, in my experience, this always works. 5FU is an alternative to Kenalog 10 but again it is a serial treatment over time. For 5FU to be effective, it needs to be done about every 7 to 10 days. Do not let anyone cut out your Bellafill until the non-surgical options have been thoroughly exhausted. Is Bellafill s good filler for a nonsurgical or liquid nose job? Bellafill is a great filler for liquid rhinoplasties or nose jobs. Bellafill is a great filler for non-surgical nose jobs. It can disguise the nasal hump, straighten the dorsum or nose profile and raise the tip nicely. You should have someone who has experience with this application for Bellafill do your injections, since there is no room for error and it is, after all, your face. The following is a video of a woman who had exactly what you are asking about. Bellafill results seem to disappear the next day after an injection of my cheeks. Why? Bellafill is a longer-term filler that works on just about everyone but when patients get variable results there are some explanations. Bellafill results or the results from any filler injection are extremely injector dependent as well as location dependent. For example, Bellafill results are the best when Bellafill is injected superficially, just under the skin, and not into the deeper layer where many injectors are taught to inject other products like Sculptra and Juvederm. In addition, areas of the face like the cheek hollows are so called "black holes" for filler, largely because there no bone close to the surface to push the filler up and produce results and a lot of filler is needed to produce good results. The time to judge your results from any filler injection, including Bellafill, is either immediately after the injection or three to four weeks later. When your results look good the next day, it means that the swelling from the trauma or injury of the injection have taken over. When the swelling goes away, and it looks like nothing happened, then either the filler was placed too deep or not enough was used to fully correct your problem. Here is a video that shows just how much filler is in a 1 cc syringe that may help you understand some of this. What filler will last the longest? Bellafill is the longest acting filler available in the US and Canada. It will last at least 5 years and I have seen patients who were injected 9 and 10 years earlier and their Bellafill is still lasting very well. The safety profile for Bellafill is the same as the safety profile of other short-term fillers like Juvederm, Restylane and Radiesse. This makes Bellafill an excellent choice for those patients who are tired of getting fillers all the time and want to “own their filler rather than rent”. Is Bellafill a good filler for laugh lines? Bellafill is a tremendous filler to deal with smile lines also known as laugh lines and nasolabial folds. It has one of the best safety profiles of all the fillers, even the temporary fillers, and will last at least 5 years. It may be the best choice there is for this problem. Here is a link to before and after photos of patients who has had this done. Would Bellafill correct under eye hollows? Bellafill is a tremendous solution for under eyelid hollows. It has been shown to last at least 5 years. It is far more predictable than fat injections and after 3 to 6 months, the Bellafill that was injected is replaced with your own tissue so you do not even know it is there. Finally, the safety profile for Bellafill (number of reported problems to the company per syringes sold) is the same as any other filler. Here is a link to before and after photos of many patients who have had their undereye hollows treated with Bellafill. Can Bellafill be used to treat festoons? Festoons or a festoon (under one eye) is a condition where the tissue of the lower eyelids gets swollen. This may be due to conditions like allergies and may also be due to a genetic predisposition to the chronic retention of fluid in the lower lids. Festoons are very different from lower eyelid bags, which is simply loss of the tissue volume just below the normal fat around the eye causing the lower eyelid to look like it has puffy bags underneath the eyes. This volume loss occurs as we age and contributes to the tired look that can develop in the lower eyelid area. If you have true festoons, there is no real treatment for the underlying cause although tightening the skin in this area can camouflage the problem. Injections with any filler will not help but only serve to make things worse if indeed you have this problem. What is better: Facial fat transfer or a filler like Bellafill? Your question is an interesting one. The simple answer, from my perspective is Bellafill. The problem that I have with fat grafting or fat transfer, especially for the face is that it is unpredictable in terms of the results. While many people get decent results, the problem is that some fat will “take”, and some will not. This can be a problem, and this is reflected in the worth it ratings for facial fat transfers here on RealSelf which is 83%, a rather low number for RealSelf ratings. Bellafill, on the other hand, is extremely predictable, does not require a surgery, liposuction to harvest the fat, will last as long as fat and potentially even longer, has fewer complications and is far more cost effective. I have added a web reference and video about Bellafill for you here. I have Gore-tex implants in my nasolabial folds and now I want to add some Bellafill to my smile lines. Is that reasonable? First, let me review Gore-tex implants for you. These implants are not a filler but rather a surgical implant made by Surgiform and made from ePTFE (expanded polytetrafluoroethylene). They are or were used for many purposes in surgery although they are not used nearly as often as they once were ,since we have far better devices now. The implant that was typically used for lip augmentation and nasolabial folds and is not longer available as it tended to deform after time due to implant capsule contracture. You could lay Bellafill or any other filler in the soft tissue in your smile lines around your implants but the injector noose to be very careful not to put any in the implant capsule. I would not recommend this approach however, as it could cause issues with further deformation of the implant or an infection in the implant space. Even if you get a good result by filling over and around the implant, the implant is prone to further shape change, like it has already undergone, and then you will be unsatisfied with your result. My preferred treatment to get the best result would be to first remove the implant. This can be done with local anesthesia from the buccal mucosa. Once the area has healed, it will return to its native state or what you would look like if you had never had anything done. This would be about 3 months after removal of the ePTFE implant. At that point you could easily be treated with Bellafill or any other filler to get your desired NLF correction.